Please get in contact with Done-for-you if you are seeking professional bathroom fitters in Surrey who specialise in installing new bathrooms. With a vast experience of over 13 years, we can be your ideal partner for creating a high-standard bathroom that fits your lifestyle and budget. We specialise in offering efficient, cost-effective and time-saving bathroom installation in Weybridge with minimum disruption to you and your family. As qualified tradesman, we cover every aspect of bathroom installation to ensure that our customers are very happy with our service. 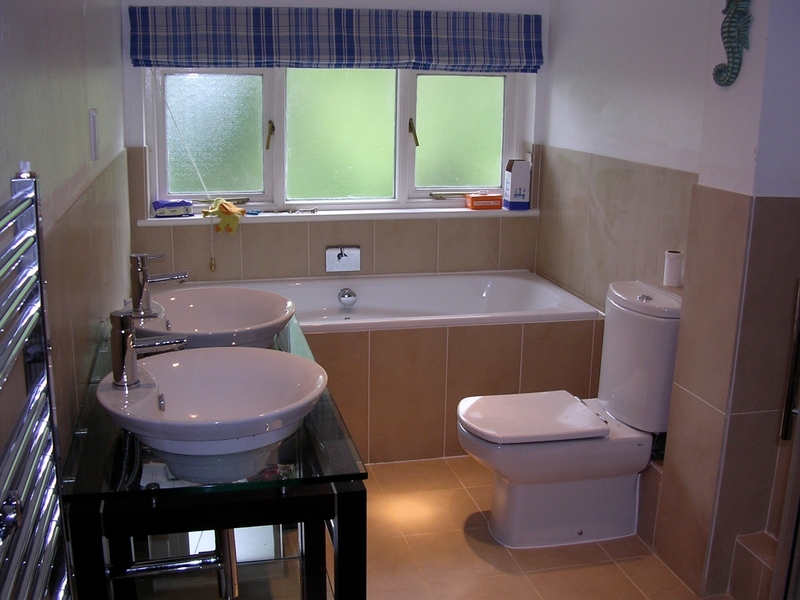 With Done-for-you by your side, you can be assured of quality bathroom installation in Surrey. Make that dream bathroom a reality. I offer the complete bathroom refurbishment service and have extensive experience of bathroom design and fitting, plumbing and tiling. I offer quality craftsmanship at affordable prices. Whether you want an entire bathroom, shower room or wet room or you simply need me to tile a wall, I offer competitive prices, designs and can project manage all aspects including plastering and electrical work.Visit my portfolio page to take a look a look at some more of the bathrooms I’ve created. Call me to take care of all your bathroom needs.